A few weeks ago, I loaded my oldest son in the mini-van and drove over to our local elementary school to register my child for the 2013 school year. Yes, I said, "elementary school." It seems like yesterday that I was holding him in my arms, rocking him in his nursery, and reading him his first bedtime story. And now, he is headed to Kindergarten. When I took Logan to register for Kindergarten, they gave me a stack of paperwork half a mile high. They whisked Logan off for a basic screening. I think I had the harder test, in truth. I had to know social security numbers, cell phone numbers, and my husband's work address-- am I the only one who doesn't have enough "memory" in my brain for all of that? Logan needed to know basic colors, shapes, numbers, etc. He had a great preK program and we participated in our Parents as Teachers program, so I felt like he was ready to show what he knew. In fact, he might have even known my husband's cell number before I did... I should have asked! Both of my boys are growing so fast! Even though countless books have been read, adventures have been taken, imaginations have been stretched, I still worry if my boys are "prepared". There is a lot of preparing that occurs before sending a child to school. There are social and emotional preparations. There are practical preparations like tying shoes and buttoning pants. Not only do children need social and emotional preparations for kindergarten, they need cognitive preparations too. Children need to be able to problem solve. Those skills are acquired as they play in preschool. There is also a set of skills-- I call it "item knowledge"-- that kids need to be prepared for preK or Kindergarten. This is a basic set of knowledge we try to send off with our kids. Books can be a great way to cover this item knowledge in a direct manner. A new set of photographic books from Tiger Tales- My First are great books to use with kids from baby through preschool age. 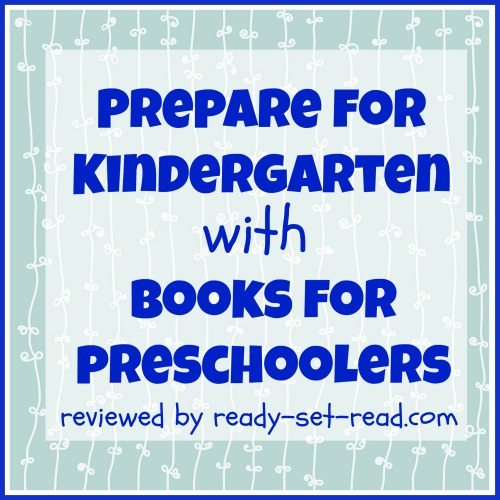 These books would be helpful when preparing your child for preschool or reviewing basic concepts with your child before heading off to Kindergarten. 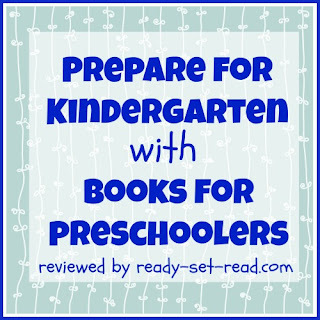 Some of them can even be used with babies-- check out the best new books for babies post for more information. My First Lift and Learn: First Colors This book features a single picture on each page along with a simple question, "What color is the strawberry?" for example. The child lifts the flap and can see the color word along with a picture collage of other items in that color. The simple repetative text may allow your preschooler to read the text independently. Lifting the flap and seeing the color word will build word recognition. I love that this book includes gray-- that was a color that was tested on the preKindergarten screening in our district and it's one a lot of kids miss! My First Lift and Learn: First Numbers is a similar book. It includes a single photograph with repetative text, "How many kittens can you count?" for example. The child lifts the flap and sees a similar photograph of the same object along with the number in numeric and word form. The numeric form has directional arrows on each number to assist in correct number formation. I love the various arrangements of the objects as I've been working with my prekindergarten child to recognize that objects retain the same value even if they are arranged in a different order. My First Book of Things to Learn would be a good book for a young child preparing to enter preschool. This book provides labeled photographs of first concepts. The book is almost like a game as one page labels a color and the next page labels the objects. The question at the top of the page asks, "Can you match the colors?" Children will learn color words and word recognition at the same time. This book covers colors, animal sounds, shapes, numbers, and more. This is a tabbed board book. My First Book of Things to See helps child to sort objects into categories which is great for building problem solving skills. In this book, each page features a category of words. The words are labeled a clear photographs are given. Some of the categories include the beach, the farm, and preschool. Children need to learn how to categorize concepts before going to school. My First Puzzle Set ABC Puzzle + Book is a fun way to review alphabetical order and learn beginning letter sounds in words. This kit features a 2 sided jumbo puzzle. One side contains labeled photographs of objects for each letter of the alphabet. The other side features upper case and lower case letters that are placed in alphabetical order. The puzzle will help build problem solving skills and develop hand eye coordination, both of those will be needed in preschool or Kindergarten! Are you sending your child off to preschool or kindergarten in the fall? How are you trying to prepare your child? Disclosure: I was sent a free copy of the books from the publisher in exchange for my honest review. The links on the books are Amazon affiliate links. I too will be sending my oldest son to kindergarten in the fall. We have kinder registration next week. I appreciated the way you described your experience at the registration. I am excited for my son, but also a little apprehensive of the changes to come. Thanks for the books and tips you shared. Thanks for the comment! I'm excited too but very nervous. I'm just trying to not convey my nerves to my kiddo. He seems completely fine with it, thankfully. Good luck! And I hope you survive the paperwork!! lol. These are such great concepts to be teaching preschoolers at home! It will help make Kindergarten more smooth! Concept books are great tools for preparing kids for school. Thanks for sharing at The Children's Bookshelf!